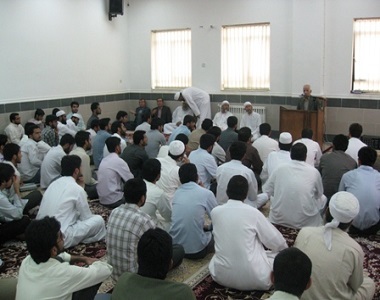 The graduation ceremony for Sunni students at the Imam Shafi’i religious school (pictured, under construction) in Kargan in Minab County, Hormozgan province, was cancelled following pressure from the Iranian authorities. According to reports, the governor of Minab and the Ministry of Intelligence both ordered that the ceremony, due to take place tomorrow, should be cancelled. In the small ceremony, eight female students were due to graduate after completing their religious studies course this year, along with graduates from the previous year. In total, only around 20 people were due to attend. The news follows the arrest of five Sunni students in recent weeks from another Sunni religious school, the Imam Shafi’i school in Evaz, Fars province. about the graduation ceremony of the Shafi’i institute (all southern Iranians, Arabs and Persians are Shafi’is) of the city of Bandar Lengeh. 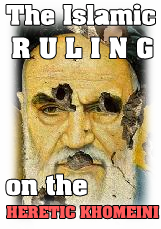 However, we mentioned that although here and there Sunnis activists, scholars and preachers can breath, yet the Iranian Shia regime never fails to prove to the Sunnis of the Iran that they have no real rights and freedom, not even in provinces where they make up the majority! Latest news: Iran’s crackdown on Sunni students at the graduation ceremony at the Imam Shafi’i religious schoolin Kargan in Minab County, Hormozgan province!